What happened during the Moto2 race in Misano last weekend still makes the headlines today, and speaking today to Italian newspaper La Repubblica, Romano Fenati has confirmed that he decided to hang his racing leathers and helmet for good. The 22-year-old Italian rider had already lost his ride with Marinelli Snipers team and also his place for next season with MV Agusta Forward and was facing accusations from all around the world for his bad behavior on track last Sunday, when he grabbed Stefano Manzi’s brake lever at almost 220 km/h as a retaliation for what Manzi did before. After apologizing to everyone yesterday, Fenati says that “I’m done with this championship, I’ll never race again. This world doesn’t belong to me anymore, there’s too much injustice. I’ll admit I was wrong and I say I’m sorry to everyone”. 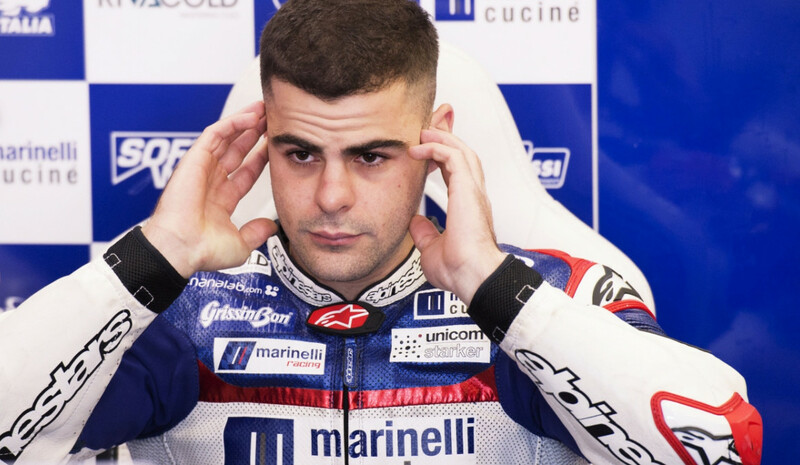 Moments later, the Italian Motorcycling Federation decided to revoke Romano Fenati elite racing license, forbidding him from entering all sporting activities. If Fenati doesn’t go back on his decision, he will end his racing career with 10 race wins and 23 podiums in 109 races – Moto3 and Moto2 -, and his best result was a runner-up spot at the 2017 Moto3 season. Romano Fenati was a promising rider, but his behavior on track, and sometimes also off track, kept him from getting to where everyone thought he was meant to arrive: MotoGP.